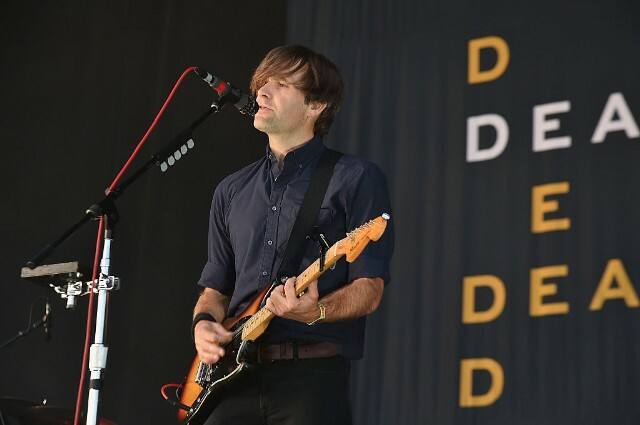 Death Cab for Cutie will release their ninth album Thank You For Today via Atlantic this Friday, August 17— just one day before the 20th anniversary of their 1998 debut Something About Airplanes. Whether the indie rock veterans are pondering lost love or gentrification, there’s an underlying longing for yesterday that ties the album together, despite its title’s focus on the present. The band announced Thank You For Today earlier this year, with a 30 second teaser of new music followed by singles “Gold Rush,” “I Dreamt We Spoke Again,” and “Autumn Love.” Here’s everything we know about the new album. Although it’s set to release on Friday (August 17) the album is available to stream now on NPR’s First Listen. Its 38 minutes of bright nostalgia were produced by Rich Costey, who was also in charge of the previous Death Cab album, 2015’s Kintsugi. “I’m our band’s biggest fan,” Gibbard told Noisey. “We play all these songs live, and the songs that the fans love are usually the songs I love. A lot of that’s reflected in the new album. Like, ‘I want to get back to reminding people why they love the band. '” He expressed the same sentiments in the aforementioned DIY interview, saying, “This record is more in tune with the spirit of the first four albums than the last two, or even three.” Translation: More Trasatlanticism and The Photo Album, less Codes and Keys and Kintsugi. Death Cab for Cutie’s new album Thank You for Today is officially out August 17. Until then, you can stream it in advance over at NPR.